The New Zealand Film Commission (NZFC) has just announced its 2012 funding decisions for its Fresh Shorts programme, with grants to 16 new short films. Its press release outlines the selection process and includes some panel comments highlighting the strengths of each film selected (in italics after each film). There are five projects with women directors. Warm congratulations to them and the others in their teams! Where I could easily find extra information about the directors whose projects are green lit, I've added it. Very happy to learn more about the others! Eight films have been green lit at a $10,000 budget level. Every weekday morning, a Nana gets up early and dresses up warm. Where she goes when she leaves the house is a mystery - only two people know the answer. This is an intriguing, enigmatic idea that is not often seen on screen. The team is exciting and has received mentorship from Script to Screen to develop their story further. The script for Ayla's South Seas Film School was awarded Best Screenplay of the year (by John Barnett, South Pacific Pictures) and Best Film of the year (by unanimous vote from South Seas staff). An elderly woman is forced to make a choice for survival in a violent world. It’s very contained and only tries to explore one idea, with a great twist at the end. PIGEON speaks to the potential and experience of this team. Emily is friends with the popular Brooke, but also enjoys hanging out with the less popular Rebecca. When Rebecca lashes out at Brooke, Emily is tasked with doling out the punishment. We were really drawn to this strong female narrative and felt excited by the team’s approach. The material is bold and relatable. Based on a short story, an abandoned girl creates an imaginary world to cope with her tough reality. A gentle yet powerful story that opens up political discourse. The team is a positive creative collaboration, and has what it takes to make an animation that will really resonate. Riwia Brown is a Māori playwright and scriptwriter who won a Best Screenplay award for her adaptation of Alan Duff's novel Once Were Warriors. A young girl realises she is witnessing the breakdown of her parents’ marriage in a land far from home. The script is gracefully spare, and Yamin’s unique vision is backed by a strong team. Here's an article about Yamin Tun and her Two Princes, which screened this year in the New Zealand International Film Festival programmes in Auckland and Wellington. As a total, this Fresh Shorts investment in women-directed projects is $90,000, or 28% of the $320,000 invested. Last year, women-directed projects were represented equally. The most recent Premiere Shorts funding, $90,000 for each of six films, included just two with women writer/directors, Catherine Bisley's Wide-Eyed and Karyn Childs' Ride. Put all three programmes together, and the total investment in women-directed projects is $270,000 out of $860,000, 31%. I wonder why the numbers dropped this year. Did fewer projects have women directors attached? And if so, why? The final 16 films were selected by a panel of both industry and NZFC staff consisting of: Toa Fraser (Writer/Director), Tina Cleary (Casting Director), Jonno Woodford-Robinson (Editor), Chris Payne and Kath Akuhata-Brown (NZFC Development Executives) and Lisa Chatfield. The list of applicants was narrowed down to a shortlist of 50 projects that the panel reviewed before choosing the final recipients. The selection process considers the team, the strength of the individual script and the director’s vision for creating a cinematic experience. 2012 has been an exciting year for Fresh Shorts. Filmmakers from the first funding round in 2010 have already made a mark in the international short film world, with selections at premiere festivals including Berlin, Clermont-Ferrand, Tampere and Melbourne. Lambs, written and directed by Sam Kelly and funded in 2010, received the Jury Prize for Best Short Film at the New Zealand Film Festival and was also voted best film by the audience. “On top of the critical success, Fresh Shorts filmmakers are pushing their careers forward with feature films in development and higher level shorts grants from the NZFC” says Lisa Chatfield. “This scheme is fantastic for identifying talented people who we’re keen to support.” Examples include Matthew Saville and Hamish Bennett. Writer/Director Matthew Saville made Hitch Hike through Fresh in 2010 and will now make Dive with a $90,000 Premiere Shorts grant. Writer/Director Hamish Bennett made The Dump with a $10,000 Fresh grant in 2010, and will now make Ross and Beth with a higher production level $30,000 Fresh Shorts grant. Are the schemes working better in the longer term for the men whose projects are selected than they are for the women? I hope this is just a blip. After I wrote this, I enquired about the gender of directors attached to applications to this round of Fresh Shorts. Here's the response (slightly edited). This is very similar to proportions of applicants for early development funding in the past (see sidebar for my Development thesis (2010) and PhD Report for People Who've Helped Me (2008). And that intrigues me. As so often, more information raises more questions. Why did women directors make so few applications? What happened last year to increase the proportion of successful women directors? Did more women apply, and if so, why? 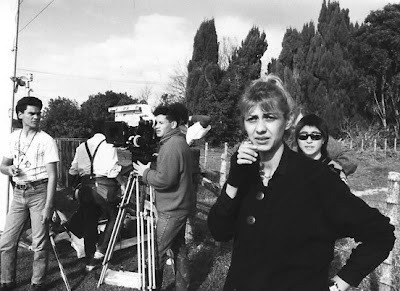 I remember Lisa Chatfield, the NZFC Short Film Manager, attended the 48 Hours awards nights in Auckland and Wellington, accompanying a clip that included a diverse range of short film fund recipients. Did that encourage women to apply? What else would encourage women to apply and help them succeed? Lisa kindly invited me to go into the NZFC to count the 2011 applicants. I'd love to do so if ever I have some free time. But most of all, I hope that the NZFC will emulate the Swedish Film Institute and develop its own regular, gendered, analysis of its funding allocations. Lisa Chatfield has counted the 2011 applications with women directors attached. Many thanks to her. = 27% of total applications (291) had women directors attached. But in contrast to 2012, in 2011 four out of the eight successful applications to both programmes had women directors attached. I was very happy about this and wrote about it here. I'm not sure what these figures mean. I know that the NZFC’s 'Review of NZFC Short Film Strategy' showed that in the decade up to 2007 women directed 37 percent of the total NZFC-funded short films, but does not provide statistics re directors attached to applications. And I'm interested that the women-directed shorts were then 42 percent of all NZFC-funded shorts accepted for ‘A’ list film festivals; and as individuals women were significantly more likely to make an ‘A’ list film – 60 percent of women-directed short films were accepted for an ‘A’ list festival, but only 48 percent of those that men directed. Has that changed? Why is the proportion of applications with women directors attached so similar in both 2011 and 2012? Why don't more women apply? Why were more women directors attached to Fresh 10 applications in both years than to Fresh 30 applications? Is this an illustration of women being less ambitious than men? Or of their producers being less ambitious for women? Why did women directors do so much better in 2011 than in 2012? 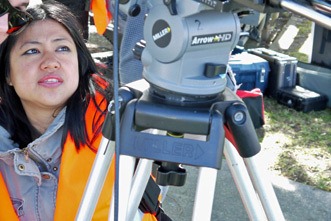 Why has the proportion of NZFC-funded women directors of short films decreased since 2007? Why does the short film 'pathway' to features not work well for women?